The right emergency power supply will allow you to keep your vital appliances working until power is restored to your neighborhood. Choose your best option based on your anticipated power usage needs, cost, and ease of use. According to emergency preparedness expert Dr. Frances Edwards of the Mineta Transportation Institute, some considerations need to be made before going out and buying any type of emergency power supply. "Carefully calculate exactly what you want to run before you buy the generator," she advises. "You want to buy a generator that is the correct size for the output that you need. You never want to overload your generator because it's a fire hazard." It's important to have realistic expectations for your emergency power supply. It's not feasible to think that any generator you buy will have the capabilities to keep all of your lights on and appliances running for an indefinite period of time. You also need to consider how often you may need to utilize your emergency power supply based on the likelihood of power outages in your area. "Different hazards have a different likelihood of generating power outages," says Dr. Edwards. "That should inform your decision on an investment." In other words, if you live in an area that frequently encounters long power outages from ice storms in the winter, you may want to invest more money in a generator than someone who lives in a generally mild climate with little or no history of natural disasters. Options for residential home generators vary from permanent, installed units to small, portable units. Carefully estimate your energy needs before purchasing any unit to make sure you buy something that will keep everything running like you want it to. Home backup generators are large, permanent generators. They are usually connected to the home's natural gas supply, providing automatic power in the event of a blackout. A home backup generator is an investment, as these stay with the home and generally have large price tags. This is a good option for a family that wants no interruption in power and is willing to pay for a top-of-the-line product. Generac is the top seller of these products. Prices start at around just under $2,000 without installation and can go beyond $10,000 depending on the unit. Contact Generac for specific pricing or to schedule an in-home power needs assessment. Kohler also makes home backup generators for both residential homes and commercial buildings. Complete the Home Generator Selector to see pricing. As with Generac, units start around $2,000. Multiple options exist for portable generators, including the level of output capabilities. Most portable generators run on gasoline, which allows users to keep them running as long as they have a ready gasoline supply. The portability of these generators can also be a benefit, especially for people who intend to use these generators not only in emergency situations, but also to power things away from the home. 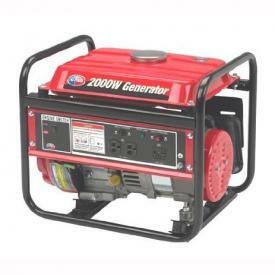 Purchase a portable generator based on the expected watts usage in the event of an emergency. Generators are available in small, midsized and large portable units - the larger the unit, the higher the capabilities for running a home's appliances for a longer period of time. PowerPro 56101 is a bestseller on Amazon. 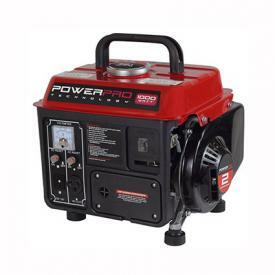 Priced around $150, this portable generator is appropriate for short-term residential emergency power supply. Reviewers on Amazon like the relatively quiet unit, saying it is a good product for the cost. 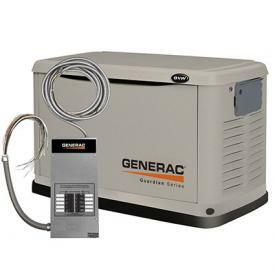 Generac's GP5500 is a larger portable unit and is listed as the top portable generator by Electric Generators Direct. Priced just under $700, this generator is appropriate for residential use and has plenty of reviews from customers on the Electric Generators Direct website saying this particular unit worked excellently in a variety of emergencies. Recreational generators are designed to provide power for campers and in other outdoor situations, yet these generators can also be invaluable in the instance of a power outage. While they may not have the capability to run all your major appliances for a long period of time, you can keep the lights on and likely run an appliance or two. Honda's EU1000i is available for just under $1,000 and is known for its quiet operating noise. According to website CampTheWild, Honda is a solid choice for a recreational generator. All Power America APG3014 is a less expensive option at around $230. Amazon reviewers say this unit is easily portable and lightweight and say that this particular item is a good buy for the low price. If you live in an area where sunlight is abundant and you don't like the idea of storing fuel for a generator, a solar generator may be the best bet for you. Depending on the amount of money you're willing to spend, you can purchase a solar unit that will keep your major appliances running without any noise or fumes. Goal Zero Yeti 1250 Solar Generator can be charged from the sun or by plugging it into an electric socket, which works well for homeowners who know an outage is likely with an approaching storm or other event. 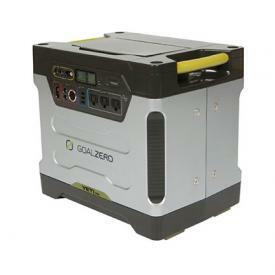 Priced at around $1,800, this kit has largely positive reviews on the Goal Zero website with most customers praising the reliability of this unit. EarthTech sells an 1800 Watt Solar Generator with a list price of around $2,600. Reviewers say this unit is easy to assemble, offers adequate power during outages, and is an excellent alternative to gas-powered generators. 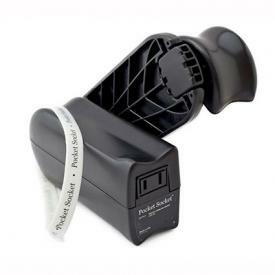 Hand-crank items can offer only a limited amount of power, but if your main goal is to run a light or listen to the radio, this can be an inexpensive and portable option. K-TOR Pocket Socket Hand Crank Generator is a small, highly portable device priced at around $60. This is a good option for small, short-term power supply, such as to charge a cell phone. Amazon reviewers say this is a good product, but warn that it may not be compatible with all cell phones for recharging. Sharper Image offers the Emergency Handcrank Power Radio for around $80. This device features a radio and can also charge a compatible cell phone. The vast majority of reviewers on the Sharper Image website would recommend this product to their friends, with many of them saying it's reliable and lightweight. No matter which emergency generator you choose, there's likely going to be some maintenance that goes along with it. Dr. Edwards stresses the importance of regular maintenance and upkeep in order to make sure the generator works when you need it most. "Every option requires some level of vigilance on your part to test it and to make sure it will charge," says Dr. Edwards. "You have to run the generator every year, and you have to run it for a long time; you can't just turn it off and turn it on. You should run it for twelve hours or more - twenty-four is better." A functioning generator can make a big difference in your quality of life during an emergency. 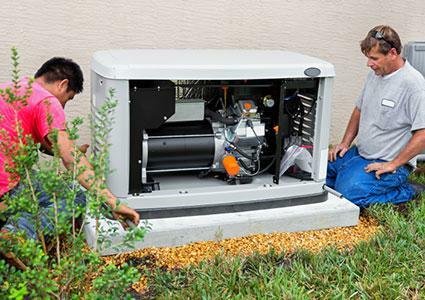 Choose a generator specific to your needs and be sure to follow manufacturer's instructions on upkeep so that you can be sure your generator will work when you need it most.